Who wouldn’t want to have maximum likes on a selfie which they clicked at the club last night? Who wouldn’t want to increase their number of followers? Who wouldn’t want to have a maximum viewership of a video? Who wouldn’t want to sell as many products as possible? Who wouldn’t want to make their website top-ranked on the internet? Of course, everyone would want that, wouldn’t they? And especially when it is so easy and interesting to achieve them! Want to know some of the tips and tricks to boost your social media presence and website traffic? Let’s dive into it! What Is SMO And How Does It Work? Even though SMO sounds and looks technical, there is no rocket science behind it. It is as easy as getting to know about a long-lost couple getting back together and gossiping about it to the point until they part ways again. No, seriously! SMO, i.e., Social Media Optimisation is a process of boosting the presence of a particular brand, product, service, event or simply an individual page with an intention to create viral publicity along with the help of various social media platforms that includes YouTube, Facebook, Twitter, Instagram, etc. And I kid you not; almost all the existing businesses rely heavily (and sometimes solely) on social media to make their business grow. SMO plays an important role in the process of building, managing and flourishing your business within a short period because there is not even an eye which isn’t on social media these days. With the help of social media optimisation, the marketer can answer all the questions such as “How to market?” “What to market?” “When to market?” “Whom to market?” and so on. Now let us talk about the ways to achieve answers to these question! If miracles exist in this world, I am sure they are named as tags/hashtags! Tags and hashtags work wonders if they are used correctly. Tags and hashtags act as a keyword or key phrase which lets people know what your content is about. They play an important role when you want to reach your target audience, as long as you put relevant ones. For instance, adding a #wanderlust hashtag to a post of you dancing in a club wouldn’t make any sense. Put hashtags which gives more information regarding your content and which would make it more likely for your target audience to come across it. PS: Stay away from those common hashtags such as #likeforlike or #followforfollow which have already been used millions of times. COMMUNICATE. As Bob Nelson says, “Communicate, communicate and then communicate some more.” Interact and engage with your viewers as much as possible. Make them believe that you are listening to what they have to say and have something to say in return too. Make them feel acknowledged. Having a large number of followers isn’t worthy until you share a trustworthy relationship with each one of them. A brand will only flourish if it consistently interacts with the potential customers on social media. Addressing your viewers and encouraging their participation would motivate them to be a part of your brand and would lead to a healthy relationship. Reply to viewers’ comments, respond to their complaints/suggestions and make them feel home. Conducting giveaways, webinars, online contests, live sessions and launch events, etc. are the most common and the most common and easiest way to engage and interact with viewers. Nowadays, a person is what he shares on social media. An individual is defined by what he follows and shares on the internet, and hence it becomes essential for a brand to create and share content which generates value. 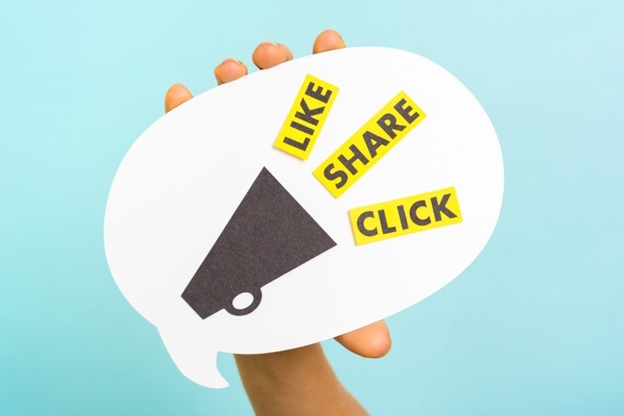 People are more likely to share content which makes them seem smart. People are curious know what is happening around and want to be the first one to share it online if it adds value to their social media presence. To create and sell content people would WANT to share online rather than paid-promoting it. Avoid self-promotion and focus on content that includes topics and discussions which provides value and prove to be helpful for the viewers. Upload a post that talks about some social issue rather than just uploading a glamour picture of some celebrity with your products or services. 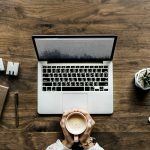 Publishing sensible and unique content on a regular basis would help your brand stand out from others which in turn would increase your followers base. Ad campaigns, social issue drives, and events, PSAs, etc. 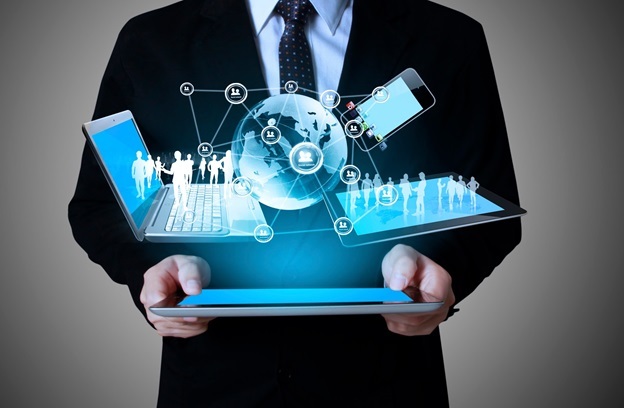 are some of the ways you could incorporate to increase your brand’s visibility online. According to a report in 2017, of all web traffic in Asia, about 65.1 percent was generated through mobile phones, and the credit goes to the ever-increasing market of mobile phones and smartphones. Hence, most of the content searching and viewing is done on mobile phones. 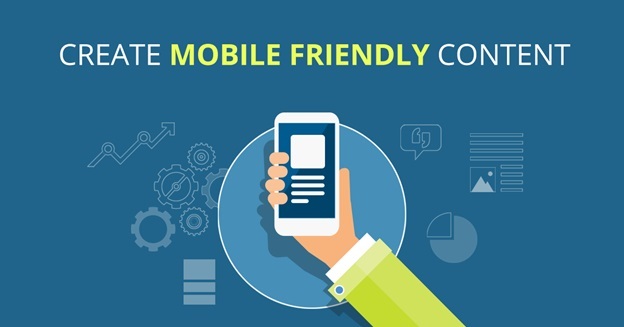 This has led to the concept of making mobile-friendly website and companies are trying hard to cope-up with this by generating content which is easier to load and share on smartphones. Design your posts and contents according to the social media platforms they’d be going on and the devices they’d be channelling through. Publish easy ‘share’ buttons and links which would make it easier for the viewer to share your posts and content on other social media platforms. Looking after the factors such as the aspect ratio, colour, size and design of your post beforehand would prevent your content to look differently on mobile phones. “Content is where I expect much of the real money will be made on the internet,” Bill Gates in January 1996; and he said it right. It’s 2018 and people are hungry for good and unique content. They want to be aware of all the things happening around. People expect value from each and everything they come across every day. A lot is happening around, and hence it becomes difficult for any individual to stand out and offer something unique and unseen. It is not as easy to gain eyeballs now as it was a decade back. Nowadays, every third thing you come across is either inspired by some other thing or is the exact copy or should I say “Everything is a copy of a copy of a copy.” Hence, the brand that creates content which is unique and generates value for viewers is likely to survive in this competitive market. All the tips and tricks of SEO and SMO won’t make sense if your content isn’t worth it. Content would only generate value if it informs, entertains and educates at the same time. Imagine how depressing all the social media platforms would be without any content – just blank white pages. Amidst the vast traffic on social media, make sure you have the unique and dynamic content which would stand out and gain the spotlight. So now do you think you could get have maximum likes on that selfie which you clicked at the club last night? You think you could increase your number of followers? You think you could have a maximum viewership of your video? You think you could sell as many products as possible? You think you could make your website top-ranked on the internet? Of course you could. Now that you know the drill of boosting the traffic online!